Smoke signals the coming of a polluted winter in Drmno, Serbia. 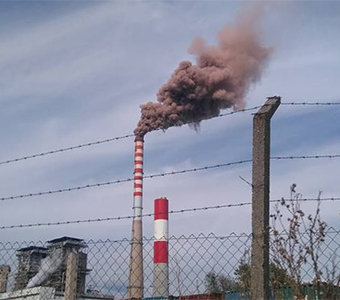 Bankwatch’s independent air quality measurements show for the first time the alarming levels of dust particles near the Kostolac B power plant. A thick cloud is coming out of the Kostolac B smoke stack. Locals have no official information about some of the pollutants trapped in their village. “Ioana, look, the wind is blowing from the South today, all this is going over the Danube to Romania!” writes L. and sends me a photo as proof, one November morning. He lives in the village of Drmno, in Serbia, only 15 kilometres away from the border with Romania, my home country. Drmno is sandwiched between the Kostolac B power plant and the open-cast lignite mine which supplies its fuel. A few days a month, the black smoke which comes out of the plant’s chimney is blown northwards, but for all the other days, it looms over the Drmno village. There is no official way for the locals to find how bad the pollution is, as the Environmental Protection Agency’s measurement station only monitors two types of pollutants: sulphur dioxide and carbon monoxide. But the black clouds are full of other types of pollutants too, including dust particles, PM10 and PM2.5, which enter the lungs and blood streams of those exposed. Because of this lack of publicly available data, Bankwatch together with its Serbian member group CEKOR and local partner Zdravo Drmno have embarked on a month long continuous independent air monitoring activity. Our measurements for the first time offer locals information on how polluted the air they breathe really is. The results are not short of alarming. Practically, only on 4 days of the entire 30 days of monitoring has the limit for PM2.5 not been breached. These are tiny particles that our eyes are not able to see, but our lungs for sure will feel, especially after prolonged exposure. And we are looking at exceedances of over 6 times the limit on some days. On December 9 the daily average stood at a soaring 123.56µg/m³. According to Serbian legislation, the maximum allowed annual average for this pollutant is 27.14µg/m³ per day in 2016. 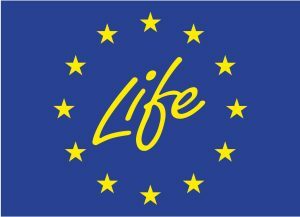 By 2024 this limit will be tightened to 20µg/m³ which is also the limit recommended by the World Health Organisation and the one used by the Institute for Public Health in Serbia in its communication. Neither Serbian, nor EU or WHO guidelines allow breach the annual limit, but it is unclear who bears the responsibility of non-compliance or what concrete steps would be made as a remedy and whether that will ever be enforced in Serbia. The PM10 monitoring results do not offer much relief either. In addition to the annual limit, PM10 also has a daily-average limit according to Serbian law. Only 35 exceedances of the daily average are allowed over the course of a year. Our monitoring results, however, have shown that already on 16 of the 30 days observed the limit has been breached. While being fairly unremarkable at first, the PM10 curve has been going up and up since December 2. Chances are that this indicates just the beginning of a heavily polluted winter season. There is a strong link between weather conditions and the measurement results. And every winter, locals from Drmno observe that the cloud ceiling stays low, trapping the air pollution in the town. Instead of offering a solution to this problem or providing the local population access to air quality information, the Serbian Government is set to build yet another 350MW unit at the existing plant – the Kostolac B3 project – and for over two years it had an environmental permit which had been issued without consideration of the transboundary environmental impacts.